After many months of working in the printmaking studio, I amassed quite a collection of little printing plates with abstract and symbolic images on them. 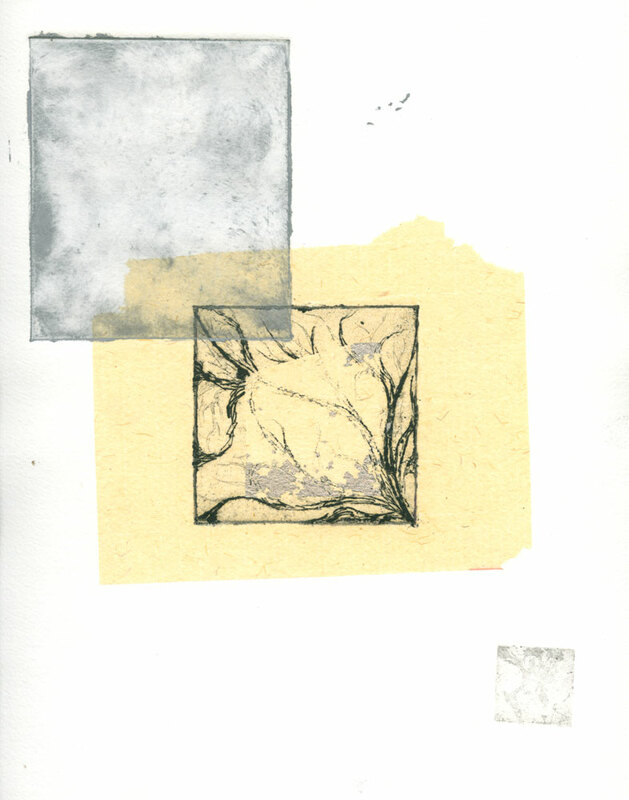 I made a number of monoprints using them, including this one. It’s got elements of etching, monoprint, and chine collé in it, and always felt to me a bit myterious, as though it was trying to show me something I could never quite make out. The grey panel at the top uses the oil-based printer’s ink on one of the blank monoprint plates to render a smoky, abstract image. The middle is a piece of paper from one of the Chinese New Year packets, imprinted with an etching plate that took most of the foil away with it. The final image is a tiny etching plate, a mere one inch square, echoing the smokiness of the top image, or perhaps originating it. I think I still have a bunch of these plates, and I miss being able to pull them out and muck about late into the night, handling the thick, wet paper and exploring all the different ways the images I’d created could become something new. This is the full page, including the inevitable inky fingerprints and smudges around the edge. I always was a messy printmaker. 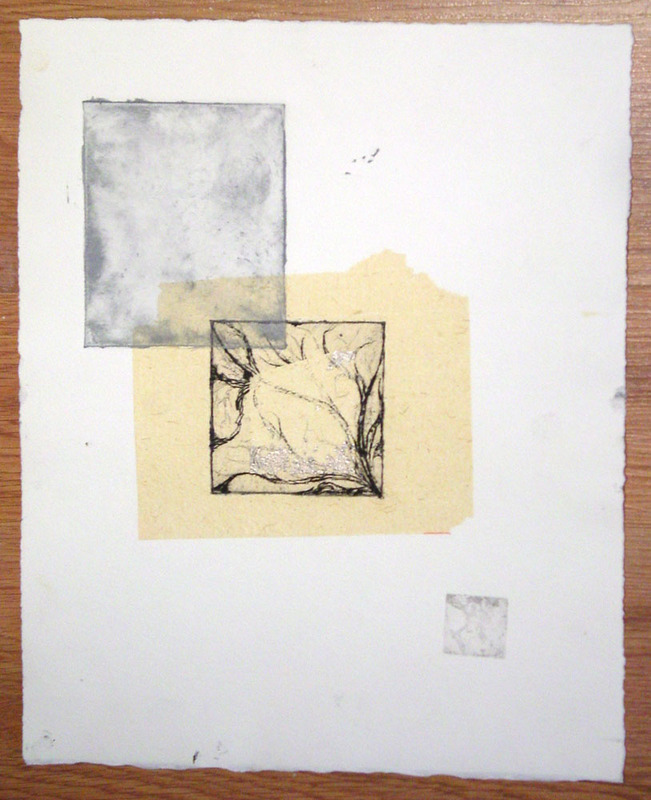 Elements, 9″x12″, etching and monoprint on watercolor paper, $399 with free shipping. The thick watercolor paper of this print is not really suitable for display as is, but I’m happy to mat or frame it for you for an additional fee.